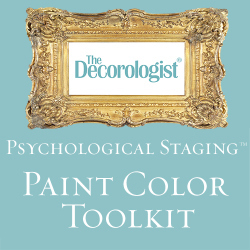 As a Paint Color Consultant, I do lots of blue bedrooms – it’s true. Occasionally it’s a greige, once in a while a green, possibly a grayed lavender, but by-and-large I help my clients choose just the right blue for their bedrooms. I guess that’s because it’s peaceful, calming, soothing – when it’s just right. We tested at least a dozen light to medium blues until we found just the right one. The owner of this bedroom is a former teacher of one of my girls, so I wanted to make an A+ on this Color Consultation! The bedding and bed remained, lamps were switched around, and the loveseat was swapped for this updated club chair and ottoman. I guess I scored a good mark, since she had me return recently to choose colors for the rest of her home. Let’s take a poll: what color are the walls in YOUR bedroom? 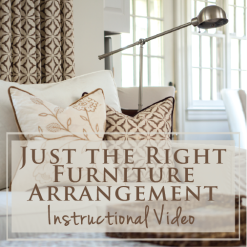 Oh – and if you are in the Nashville area, don’t forget to sign up now for my Just the Right Furniture Arrangement Workshop in less than two weeks (May 9). 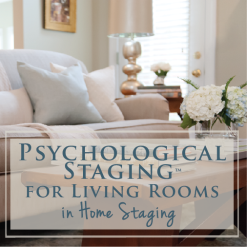 I’m going to be teaching my method of arranging furniture and accessories that will make your home feel “just right.” I’d love to meet you there! 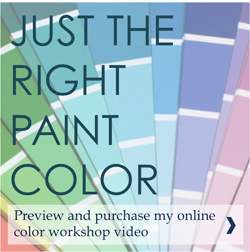 This entry was posted in Color Consultation and tagged blue bedroom, color consultation, teacher. Don’t Get Too Excited – It’s Just an Optical Illusion, Mister! Blue of course! Although we went with navy which is dark and moody. I really wanted something different but still blue. That bedroom looks beautiful in blue, great work as always! 🙂 I’m working with a client right now who requested a soothing bedroom and wants a blue color on the walls. What’s the most unusual bedroom color you’ve ever done for someone? Anything crazy? Yes, your bedroom is beautiful and I love the navy! As to your question: My client’s children sometimes want something crazy or unusual, but my clients typically don’t! I recently did a very dark gray bedroom, then a mid-range purple, but that’s about as unusual as my client’s bedrooms have gotten. Most just want a peaceful, calming retreat. 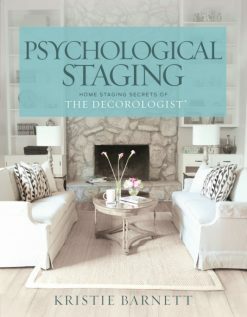 Light green bedrooms are appropriate for staging to sell. If you still love the color, keep it! and we decide to redo the whole bedroom. Growing up, my parents always had a light blue bedroom. So, I associate light blue bedrooms with my parents’ bedroom. As a parent, I’ve painted my son’s room blue, but am thinking of changing out his current ‘watery’ blue for a more gray/green/blue (Benjamin Moore’s ‘Gossamer Blue’). Your bedroom looks great! And I love your wall color – looks a lot like Ben Moore’s Gray Wisp (in the photo, anyway). One of my bedrooms is Quiet Moments blue by BM, it really is spa like. A very small simple bedroom really with a white coastal bed and a grey bachelor’s chest for a night stand. Everyone just loves this room. Sea Salt (blue/gray) by Sherwin Williams. LOVE it! Oh, yes! I love Sea Salt by SW, very soothing. I have Sea Salt in several rooms in my house and just love it! In the master bedroom (and in my 17 y.o. daughter’s bedroom) I have Watery, also by Sherwin Williams. 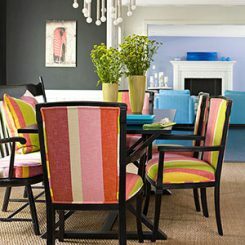 I’m afraid I’m not near Nashville, and had to pick colors on my own – Sherwin Williams has a HGTV collection called Coastal Cool and I’ve used many of their colors in my house. I like how you stopped the blue at some molding and then went white above that. Do you have a wider angle pic that shows it better? On my tiny iPhone screen that sure looks similar to SW Rainwashed that I used in my bedroom. (Just finished painting yesterday). LOVE this range of blues! So calming. Rainwashed is a bit cleaner and brighter (very pretty!) – this one is more grayed down. Yes – I can see that now on my laptop screen. Just beautiful Kristie! 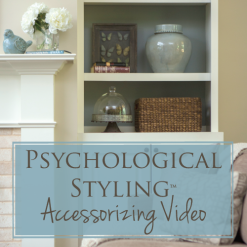 I don’t have a blue bedroom, but after this post, I might! One of my earliest memories was of my parents’ bedspread. It was this gauzy yellow, quilted thing; it was the late sixties, but, what I’d give to have that bedspread back. And someone else mentioned the connection to her parents’ room. But I wonder if parents’ bedspreads aren’t the foundation of all our memories, since we almost seem to start our life their, as babies, prone on the bed, napping. Interesting idea, Suzy – maybe you are right! I have a sort of olive green with one light brown wall, but Im tired of my bedspread so I would like to change the wall color….what color is this? What is the brand and color used? It’s beautiful! My bedroom has been painted Silver Sage by Restoration Hardware for several years and I still love the color. It changes with the light throughout the day…very soothing color! I always love the colors you choose. 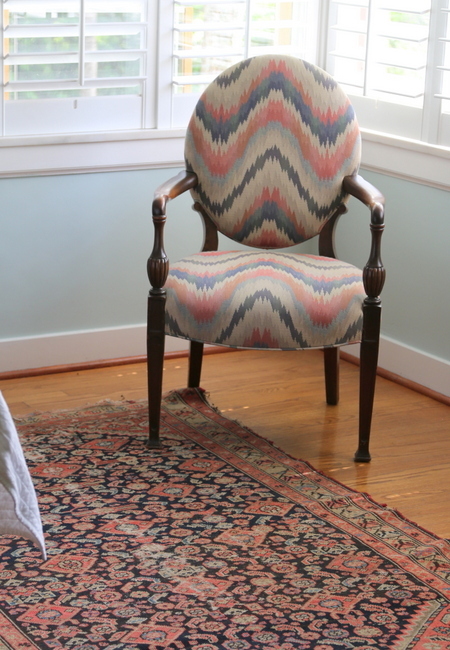 I used BM Stratton Blue in my dining room because you had used it in a clients living room and I fell in love! Can you share the color you used in this lovely bedroom? It’s perfect!! 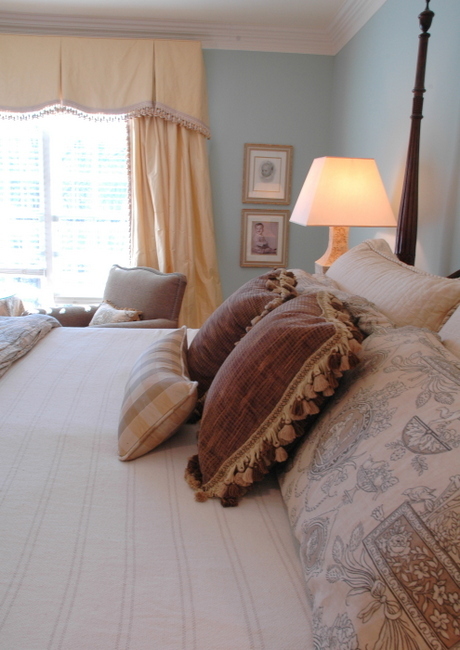 Right now we have a cream colored bedroom but we’re considering Palladian blue. I’ve seen it in several bedrooms that I’ve liked, but it may be a bit too dark. Still deciding. I do love the color in your bedroom–more of a gray-lavender. Eileen – I would never consider Palladian Blue dark. It’s actually quite light and clean. My bedroom color is Violet Mist, which is a lavender on the blue side. If you look at it in a fandeck, it reads more blue than it does in my bedroom! My bedroom is a very light gray,which my husband thinks is light blue! I believe it’s genesis white by BM. Hi Kristie, That IS a beautiful shade of blue. What is the name of it? 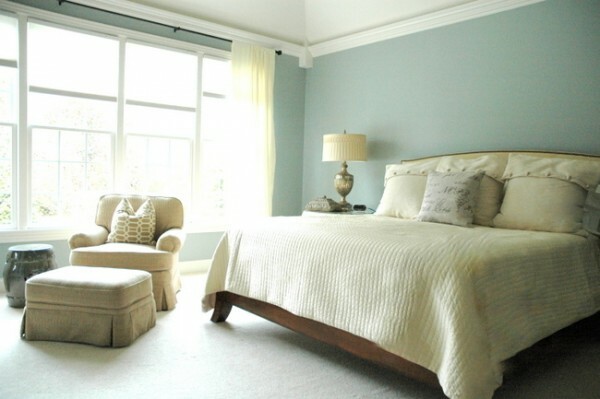 I would love to use a silvery gray/blue in my master bedroom! 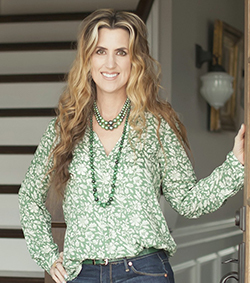 Benjamin Moore’s “Healing Aloe.” I love it so much in the bedroom that now the powder room, dining room and above the beadboard in the kitchen are the same. The kitchen is a semi-gloss that looks so much darker than the eggshell finish, but i like the difference. Sometimes it looks grey or green. Very soothing, bright, fresh and clean. Good point, Sue – a change in the finish makes a difference as to how the color reads. We have kept out master “confederate blue” for years. It’s a bedroom for sleeping. Still love it! I chose Paris Rain BM 1501. I just love this soothing grey/green that changes throughout the day. Thanks for speaking up, Calli 😉 Paris Rain is one of my favorite grayed greens! As you know, my bedroom is red but hopefully not for too much longer. I’ve been torn between greige and blue and must say this pretty bedroom has me leaning toward blue! Please tell us the name of the gorgeous shade of blue! We have SW Comfort Gray, which is the shade deeper than Sea Salt. It is a complex blue; sometimes it looks gray, other times blue, and then it occasionally reads slightly green in the right conditions. It feels very organic, reminding me very much of the ocean on an overcast day. I love this color, and am glad to hear some other good ‘blue’ suggestions. That’s lovelyâ€”perfect colour. It makes her bedding pop, too. And yesâ€”our bedroom is blue, “November Skies”, IIRC. Our last bedroom was a soft but more turquoise-y blue, and we just painted our guestroom a soft, greyed blue! There’s something about it, isn’t there? Just beautiful Kristie!! Great color choice- she must have loved it too have you do the rest of her home! Great job as always! Such a peaceful and soothing room. Our bedroom is also blue: Smoke by BM. I love a blue bedroom! My bedroom was a blue/grey and as much as I loved the colour something just wasn’t right. The room has beautiful architectural features like a large bay window with lots of trees outside and a stained glass window. Now it is a warm white and feels more serene. That goes to show that color is relative – it can read differently with different lighting and surrounding colors, and it’s highly personal what appeals to individual people. It has to work for YOU. our bedroom has very litlle sunlight so we painted it white but we have navy blue trimmings on all the doors and on the fireplace. this makes for a bit of of a greek vibe and makes it really beautiful if decorated with antique porcelain in white and blue. Beautiful, as always–I love your style. I would love to know what color you used in this bedroom. Thanks!! Funny you should ask…. we just painted our bedroom today…. charcoal grey. Lots of white floral Shabby Chic type bedding and a huge white four-poster bed and I wanted something masculine to offset it. With light colored walls it was too much frosting… not enough cake. If you know what I mean. I’ve been reading your articles for about six months, and I’ve learned so much! My bedroom wall color is the same as the “before” picture, but I’m hoping to go blue/gray soon. Thank you! A+, Kristie! You really are THE BEST! Thanks so much! What is this beautiful color? Love your bedroom! My bedroom is SW Amazing Gray which I am going to change. It looks drab against our honey wood trim. I am trying to find a nice blue like you painted to turn my daughter’s old room into a relaxing guest room. What color is your room please? I want to use some ocean pictures I took in Cancun One has anarondack chairs in it. I have 4 different blue/green samples and swatches on my bedroom all. I don’t love any of them. 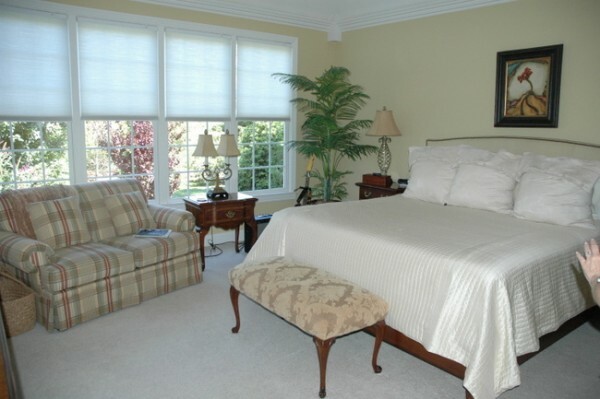 What is the blue paint color that you have in this after bedroom picture? I’m looking to paint my bedroom with a Colorado like this. It’s calming. Would you email me this shade name? And instead of white woodwork…would cream be ok? I have two bureaus that I did in a cream. Thanks…I’ll be doing the painting myself….any assistance is appreciated. I’m not sure, like many of the readers, what that gorgeous colour of blue/green/grey is in the “Blue Bedroom After” bedroom picture. It’s gorgeous! We just painted our bedroom something similar, but it didn’t quite work. 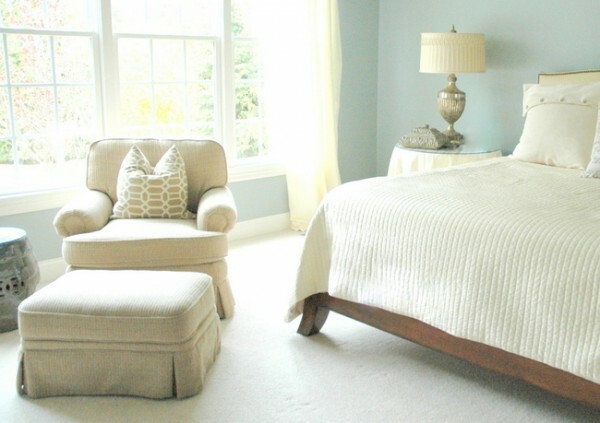 What is this beautiful colour in the “Blue Bedroom After” picture (name, paint company)?? Thanks! Any chance you’ll share the source of this beautiful color? I LOVE it! Can you share the name and paint company? Thanks! can you please tell me the color of blue you used in the above room?